This book very much reminded me of Mike Mullin’s Ashfall, only where Ashfall seemed like a Discovery Channel documentary, Monument 14 reminded me of an MTV show. On their way to school brothers Dean and Alex get stuck in a hailstorm of massive proportions. Because of their heroic bus driver they are brought to safety in a shopping mall together with the other kids. Here they have to survive one of the biggest natural disasters ever, without any parental control. This was an extremely quick read which I just breezed right through. Where other apocalyptic books are bogged down with descriptions of the world ending, Monument 14 is rather light on the gruesomeness. Most of the book it’s just an afterthought – the only thing the main characters think about is how to survive in the here and now, not about what is going on outside. For me that was both a good thing and a bad thing. It was good because I was looking for a light read, something more focussed on characters instead of plot. Bad, because at the end of Monument 14 I was left wondering what the hell I actually just read. It was a very entertaining book – but not that memorable. I was glad that the little romance in this book didn’t feel too forced or clichéd, but stayed very down to earth and teenager-y. The cast of characters is very diverse, with five year old twins, to high school seniors. It was interesting to read of such an odd bunch of kids, being thrown into a surreal situation where they have to care for themselves. I’ve seen it compared to Lord of the Flies, but even though I haven’t read that one I am quite sure that there was a rather extreme anarchy in that one. That isn’t the case in Monument 14. To be honest the whole bunch seemed to be very organised and responsible. For an apocalyptic read Monument 14 is very low on graphic details or gruesomeness, and I would recommend it for people liking their books not too heavy. 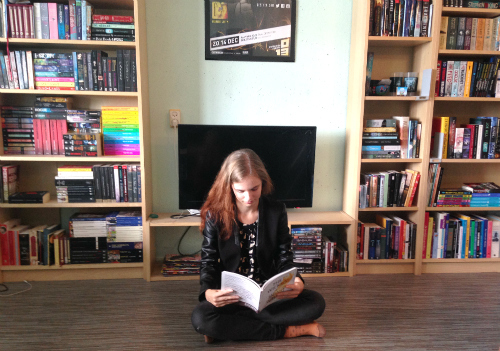 It also makes it accessible for a slightly younger audience, which most YA apocalyptic reads aren’t. 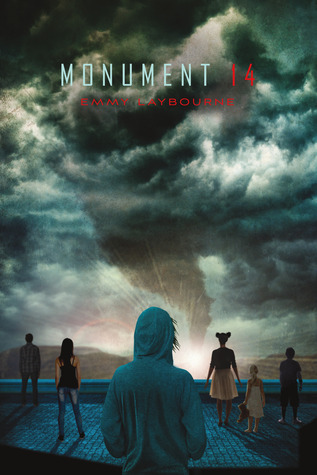 I’m looking forward to see what happens with all the kids from Monument 14.